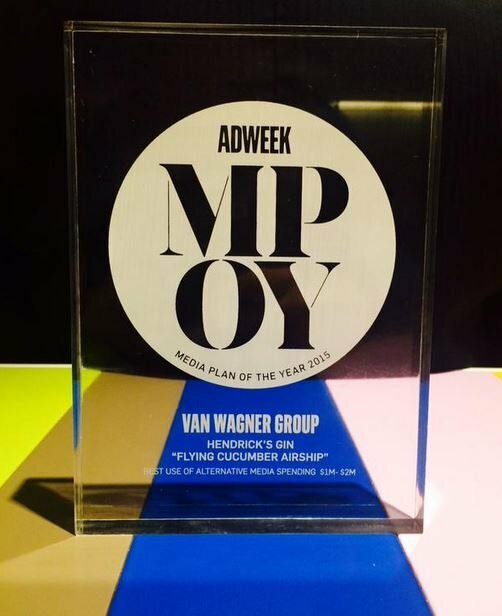 Van Wagner is proud to announce that our Airship group has been awarded AdWeek’s Media Plan Of The Year Award in the Best Use Of Alternative Media (spending $1M - $2M) category. 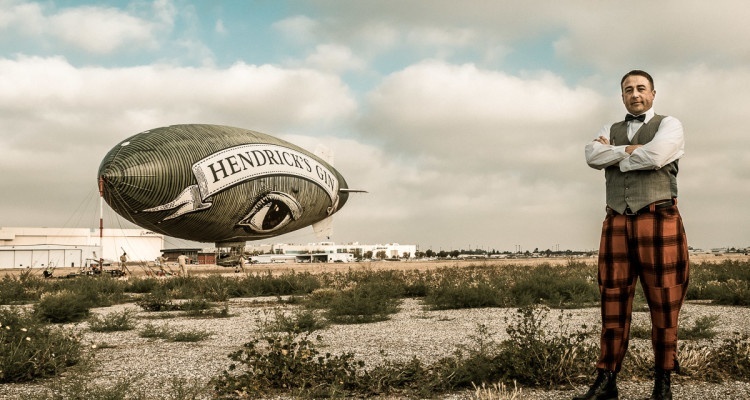 Hendrick’s Gin partnered with Van Wagner Group LLC, and credited agencies, to launch an airship campaign like no other. 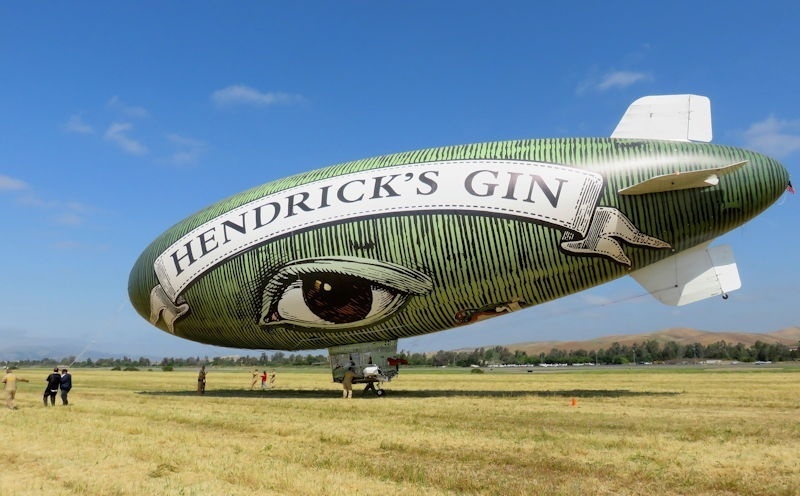 Hendrick’s requested an airship that would disrupt and delight consumers, sky rocket brand awareness, and cement Hendrick’s Gin as one of the world’s most creative and bold advertisers today. The goal of the airship campaign was to disrupt and demand consumer attention, build awareness about Hendrick’s delightfully curious infused cucumber flavor, and engage and delight current customers. The challenge lied in developing a campaign that would align with Hendrick’s unique brand voice, celebrate their unconventional style, and deviate from airship campaigns executed before. For the campaign to be a success, these challenges needed to be addressed while seamlessly integrating the multitude of moving parts it takes to put a 133 foot dirigible in the air over 13 markets in 16 weeks. The Hendrick’s team combined strategic visibility over target markets, social media influencer rides, a large scale PR push, and buzz-worthy, invitation-only airport and rooftop parties in top markets. The 360 degree marketing program married Hendrick’s Gin’s functional point of difference—the cucumber essence, and its emotional point of difference—the unique and unusual world of Hendrick’s Gin. This was how the Flying Cucumber campaign was born! The Hendrick’s Gin Incredible Flying Cucumber created buzz wherever it went. Everyone from AdWeek to Forbes to the local news wanted to hear a little bit more about the looming, green eye-in-the-sky. The Hendrick’s PR team worked to secure exposure on top networks, blogs and drafted media plans for each market which proved extremely successful in explaining the ship’s presence over major metropolitan areas, furthering brand awareness. “Not surprisingly, the showy airship was noticed everywhere it went. But the Hendrick's team wanted to ensure that the press took notice, so they invited over 750 journalists to various viewing parties to get the full brand experience, which included bespoke Hendrick's cocktails for the occasion. 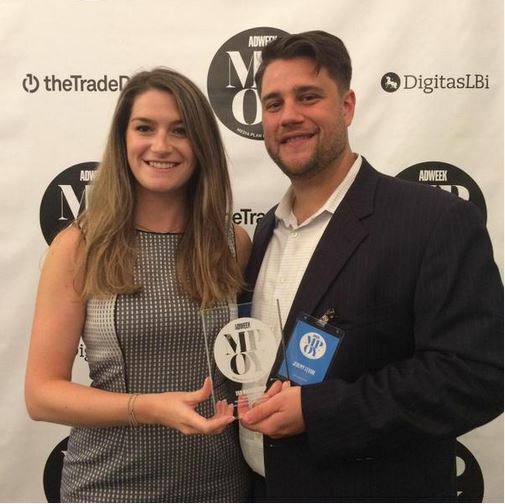 Van Wagner is proud to be awarded among such distinguished company and looks forward to creating and executing more exciting aerial campaigns in the future. Want to launch an airship or aerial banner advertising campaign? Click the button below for a free quote.